You&apos;ve probably had shrimp boiled and maybe even grilled, but have you ever tried a roasted shrimp recip? Roasting shrimp brings out their sweet flavor and lends the perfect amount of caramelization, all while allowing you to retain the tenderness within. 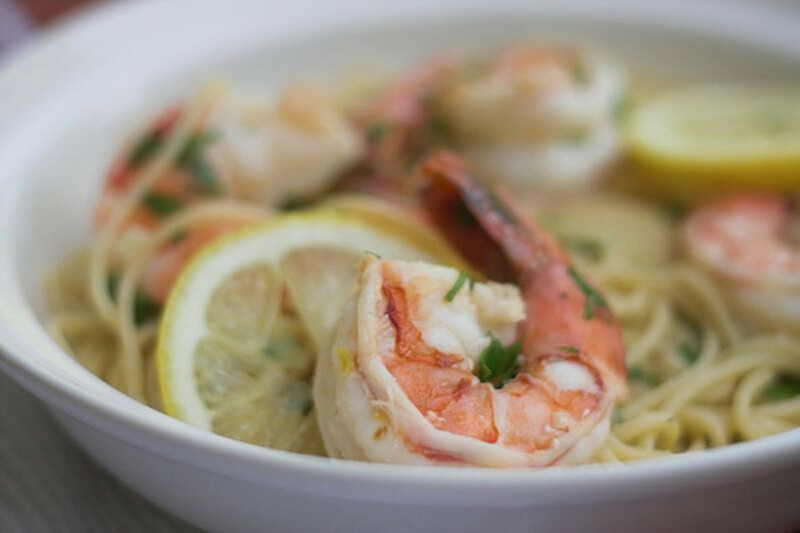 Tossed with a simple lemon pasta, this shrimp recipe is just the thing for the last days of winter and the promise of spring. 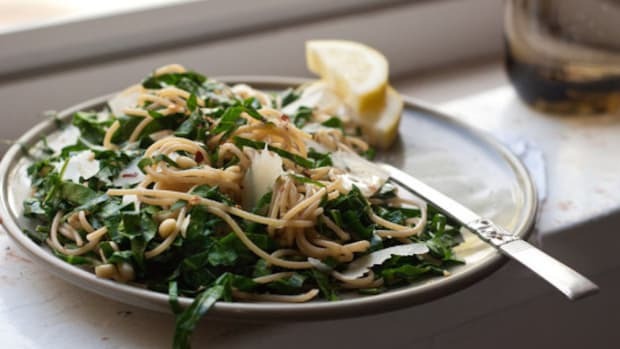 This recipe calls for a touch of Parmesan cheese, which adds a richness that is a nice balance with the lemon juice that makes up the majority of the sauce. Most Italians say no to mixing cheese and seafood, and if you&apos;re one of them, feel free to leave it out... but consider trusting this Italian when I say that it&apos;s molto bene as written! Preheat the oven to 450 degrees Fahrenheit. Arrange the lemon slices over the bottom of a glass baking dish in an even layer. Top with an even layer of shrimp. Dot with the butter and season with salt and pepper. Roast 6-8 minutes, until the shrimp are just pink and barely start to caramelize around the edges. Meanwhile, cook the pasta in the water according to package instructions. 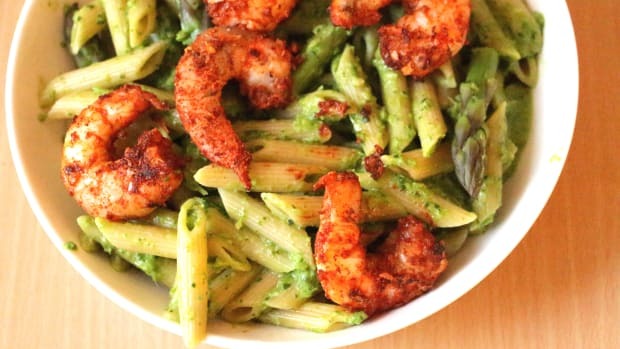 If needed, toss the drained pasta with a touch of olive oil while waiting for the shrimp to finish cooking, but ideally, everything should finish at the same time. Remove the shrimp and lemon slices from the pan. Reserve the lemon slices and toss the shrimp with the pasta, leaving the butter in the pan. Sprinkle the garlic into it and return to the oven for 30 seconds. 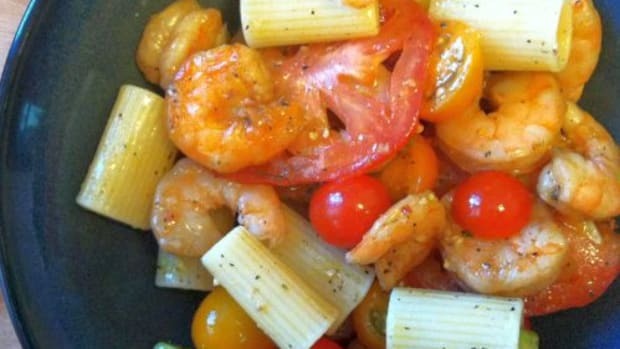 Remove and toss the butter and slightly toasted garlic with the pasta and shrimp. Zest and juice the second lemon and toss both the zest and juice with the pasta, along with the pepper flakes and extra salt and pepper to taste. 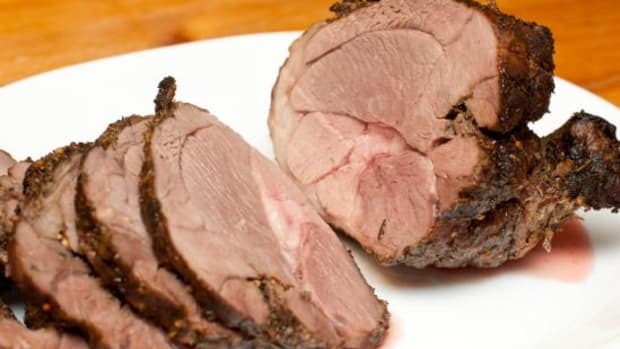 Place in a serving dish and top with the parsley and Parmesan cheese, if using. Garnish with the roasted lemon slices. Serve immediately. 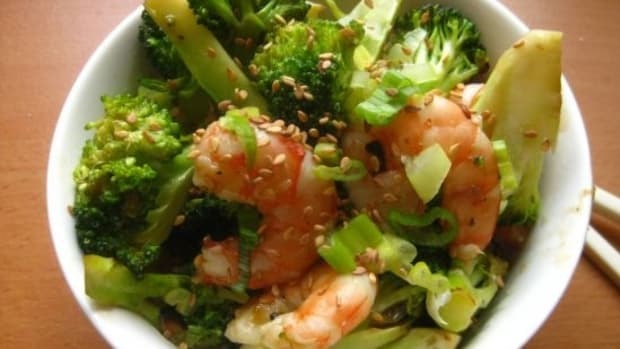 No More MSG: Homemade Chinese Shrimp and Broccoli Recipe, "Takeout Style"